We offer property for sale, including new homes and property to rent in Thirsk. Towns & villages covered by Dacres estate agents in Thirsk include Boroughbridge, Bedale, Easingwold, Helmsley and Northallerton. We have property for sale and homes to let! Whether you are looking to at new homes in Thirsk, a semi in Northallerton, property to rent in Bedale or looking at first time buyer homes in Boroughbridge, our friendly team can help you each step of the way. If you are looking for estate agents in Thirsk to sell or let your home why not give us a call on 01765 605151 and book a free property valuation today? 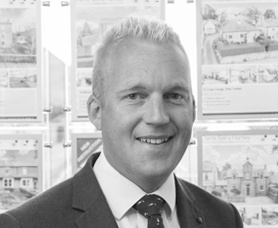 Houses for sale in Thirsk - our specialist subject! Houses for sale in North Yorkshire - our specialist subject! 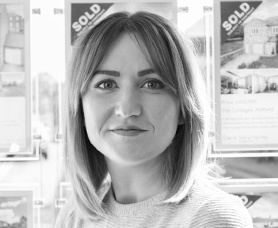 Lettings Manager Kate Dickens deals with property to rent in Thirsk and with more than six years’ experience she has a wealth of knowledge. Kate is supported by Senior Property Manager Bev Dooler who deals with rental property management in Thirsk and the surrounding villages. Together they ensure your residential property investment is in safe hands. Wanting rental property in Thirsk or residential property management in Thirsk? Give us a call - we'd love to help! Houses to rent in Thirsk - our specialist subject! Selecting the best estate agent is a critical decision when it comes to selling your home. 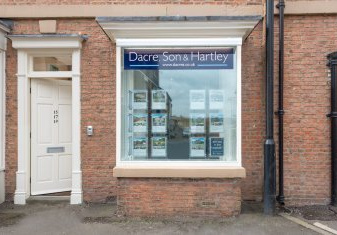 At Dacre Son & Hartley we pride ourselves on delivering an exceptional service, and with considerable experience of selling and letting property in the Thirsk area including Asenby, Rainton and Sowerby, we consistently deliver the results for our clients – just take a look at allAgents.co.uk to see what our customers think. Exceptional knowledge of the local area and our network of Yorkshire estate agents' offices ensures your property is seen far and wide, whether it's North Yorkshire property for sale or property to let. Need a Chartered Surveyor in Thirsk? We don't just sell homes and offer property to let in Thirsk. If you require a Chartered Surveyor in Thirsk to carry out a RICS Home Buyers Survey or other pre purchase valuation or survey then call one of our specialists on 01943 885400 and we will be delighted to provide a quotation. We can also quote for Divorce Valuations, Tax Valuations and a variety of specialist surveys including Party Wall matters. Looking for Commercial Property in Thirsk? Our colleagues at Dacres Commercial provide a full range of commercial estate agents services, offering commercial property for sale and commercial property to let across Yorkshire; including the business centres of Leeds, Bradford, Harrogate and York, and providing commercial estate agency in the smaller towns of Thirsk, Ilkley, Otley, Skipton, Keighley, Wetherby, Bingley & Settle. In addition to commercial property to let and commercial property for sale we offer specialist services such as commercial rent reviews and lease renewals, commercial rating and tax valuations as well as land development advice. Commercial property in Thirsk - our specialist subject! Commercial property in North Yorkshire - our specialist subject!